Disney Babies Blog: Stay Dry! Welcome to those of you joining me from Pursuing the Magic and those of you just hopping aboard. 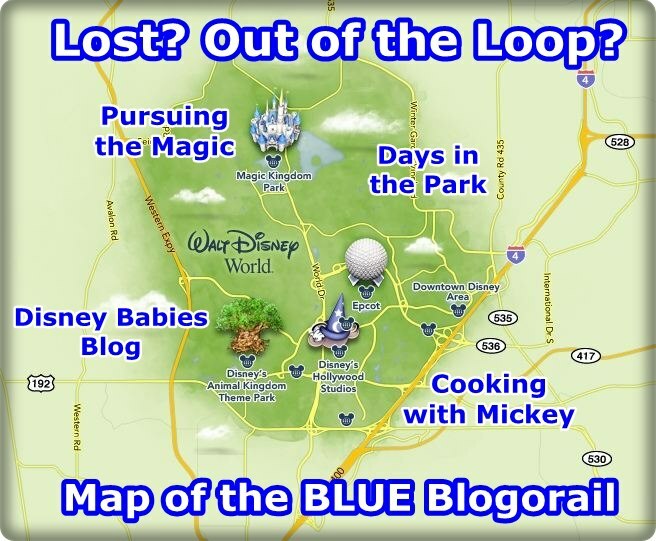 I am the 2nd stop on our Magical Blogorail! It's the spring... and with spring (and summer, fall, and 'winter' in Florida) comes the rain. what do you do in the rain? If you're traveling with babies like I have been, running for the shorter lines isn't really in the game plan (but once my boys are over, we'll be running again, too!). On our February trip, the boys were supposed to leave my mother-in-law, baby, and me alone for an afternoon of munching around the World Showcase. Unfortunately, due to rain, the game was delayed by several hours and the boys crashed on our girl time in the rain. So, we tossed on our ponchos and traveled the world! While Future World isn't the best place to be stuck in the rain due to all of the open areas, the World Showcase has enough covered areas, though most are inside the shops! Shopping in Japan... anyone else think the whole pearl from a live clam thing is creepy? Inside Karamelle Kuche? Yes, please! Luckily, the rain in Florida rarely lasts very long, so we were able to run from pavilion to pavilion and then it eventually stopped for the day! With little ones, rainy days may not be the most fun, but the World Showcase gave us a great place to meander (and run in between major downpours!). And, we only spent a little money sampling snacks (pumpkin spiced funnel cake, random Japanese candies, etc..). What do you like to do in the rain? Thank you for joining me today. 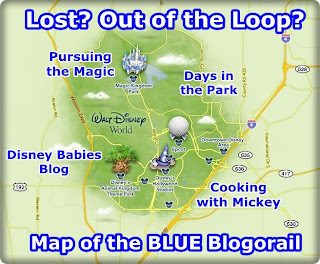 Your next stop on the Magical Blogorail Loop is Cooking with Mickey. Magic Kingdom Must Do's - 3 year old!